NEW YORK: Gloria Janata has joined specialist health agency TogoRun as its president and senior partner. She replaced Kathy Hyett, who was named chairwoman of the Fleishman-Hillard unit. Her focus will be to expand the strategic vision of the firm, including key growth areas such as health technology, consumer health, wellness, and beauty. She will have six direct reports, but will be responsible for the total staff of more than 40. Janata will report to Robert Dowling, president of Fleishman's US East region. As chairwoman, Hyett will work with Janata on agency strategy and continue to counsel clients and participate in industry thought leadership events. The firm hired Janata because of her background in advocacy, public affairs, issues management, CSR, digital media, and pharmaceutical brand marketing, Dowling said in a statement. The agency decided to make the leadership switch because the healthcare industry is facing new challenges because of business and regulatory trends. "We felt in order to continue to provide best service possible, as well as continuing to adapt and grow, it was a perfect time to bring in new thinking, while remaining connected to the mission and vision TogoRun was founded upon," Dowling told PR Week. In interviews, applicants were told they were being considered for various senior healthcare leadership roles at Fleishman companies, said Dowling. It wasn't until the firm interviewed Janata that they realized she would be a fit at TogoRun, he said. 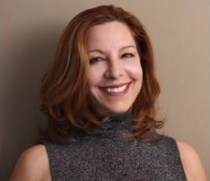 Janata joined TogoRun from Cohn & Wolfe, where she was EVP and MD of health and wellness. She previously spent more than 15 years at Chandler Chicco Companies, where she was the first head of Biosector2 and co-MD of Chandler Chicco Agency's New York office. While there, Janata worked on accounts such as Bayer Biologicals, Allergan, and Pfizer. She is also a licensed attorney and has experience on Capitol Hill. She previously worked at the Close Up Foundation, Hill & Knowlton, and APCO Worldwide. Janata said TogoRun is unique in the industry because it is a health and wellness boutique agency with marketing communications, advocacy relations, and public affairs capabilities. “We understand the complexities facing our clients in today's changing environment and relish the opportunity to help solve the toughest challenges,” Janata said in a statement. Correction: An earlier version of this story incorrectly stated Gloria Janata's former role at Cohn & Wolfe. She was previously EVP and MD of health and wellness there.